An interior view of a Fluke 325 clamp meter. 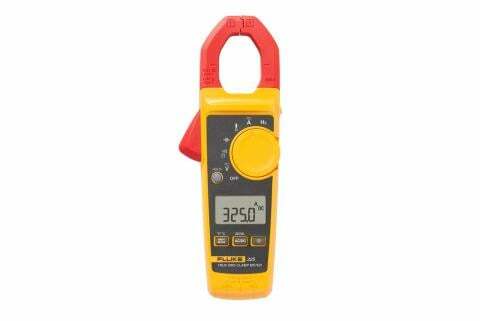 Current transformer clamp meters are equipped with rigid jaws of made of ferrite iron. The jaws are individually wrapped by coils of copper wire. Together, they form a magnetic core during measurements. Their basic operation is like that of a transformer. It works with one primary turn, or winding, which in nearly all cases is the conductor being measured. The coils around the jaws serve as a secondary winding of the current transformer. Current flowing through the conductor generates an alternating magnetic field that rotates around it. This field is concentrated by the clamp’s iron core, inducing a flow of current in the secondary windings in the meter. The measure of the amount of magnetic field passing through the conductor (or any surface) is called magnetic flux, denoted by the Greek letter phi, Φm. The signal is proportional to the ratio of the turns. A much smaller current is delivered to the meter's input due to the ratio of the number of secondary windings (those wrapped around the jaws of the clamp) vs. the number of primary windings wrapped around the core. If, for example, the secondary has 1000 windings, then the secondary current is 1/1000 the current flowing in the primary. Thus 1 amp of current in the conductor being measured would produce 0.001 amps, or 1 milliamp, of current at the input of the meter. With this technique, much larger currents can be easily measured by increasing the number of turns in the secondary. Internally, the current flow in the conductor can be measured either as a current—some older clamp accessories plug into the current jacks of a digital multimeter—or can be converted to a voltage. Most clamp meters now have mV output. 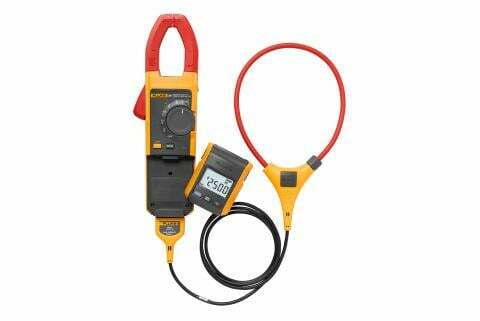 Current transformer clamp meters only respond to ac waveforms.